Tomatillos! What exactly are they (besides delicious)? They are a small round fruit with a thin papery husk. They have a slightly citrus tart flavor which makes them ideal for Mexican dishes and practically perfect in green salsa. Contrary to what you might read on the internet, they are not the same as green tomatoes. It is true they are both a part of the Nightshade family (along with potatoes, eggplants and peppers to name a few others) they are however, in a different genus… I guess you could say they are cousins. Most importantly, they do not taste the same. Check to make sure the husks are fresh and pliant. Peel it back and check the fruit, make sure it is firm and bright green. 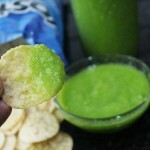 What does this mean for your green salsa? 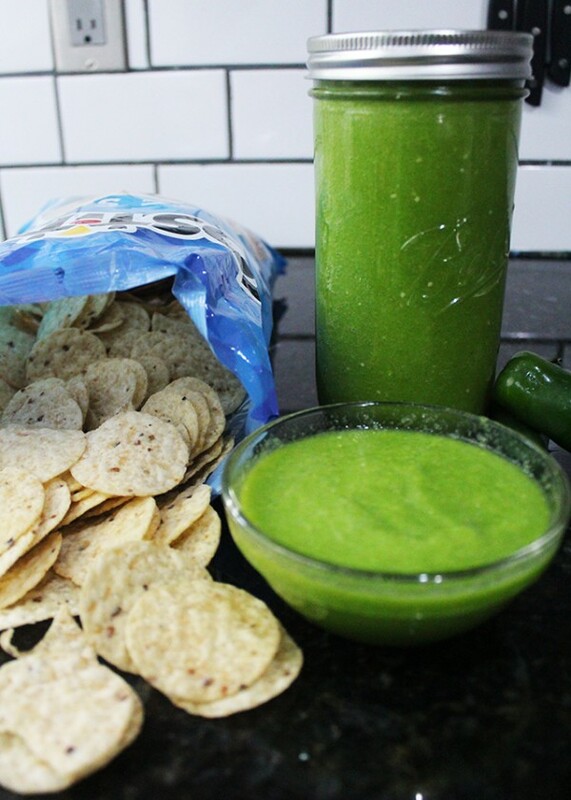 If you can’t find fresh tomatillos in the market – make red salsa! When you find them at the market, pick through them carefully. You want to make sure you pick firm smaller tomatillos with fresh feeling husks. 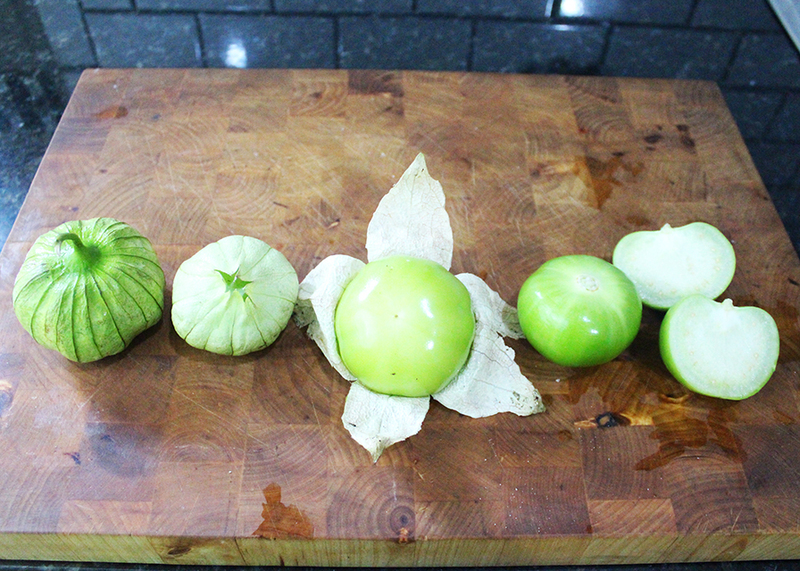 The small tomatillos are sweeter and as they sit around in the market the husk is the first part to dry out. 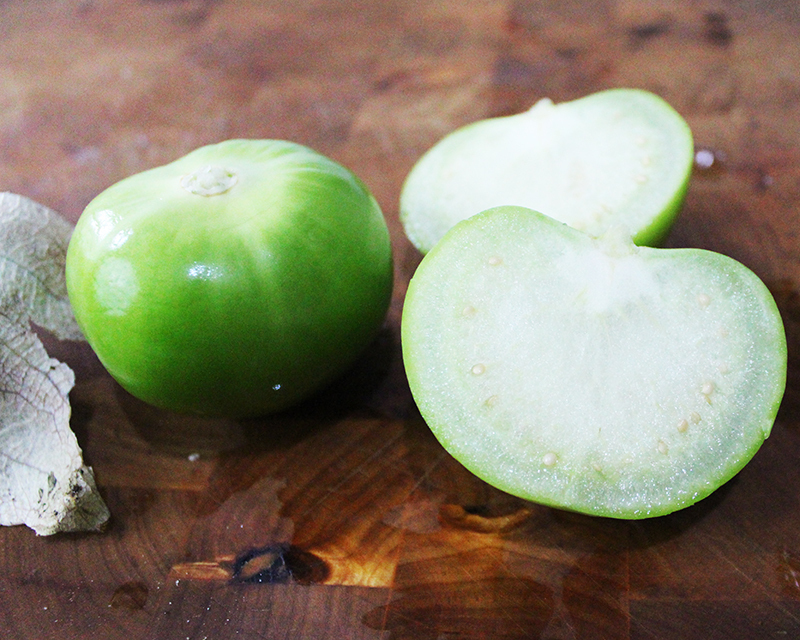 Avoid wrinkled and mushy-feeling tomatillos. 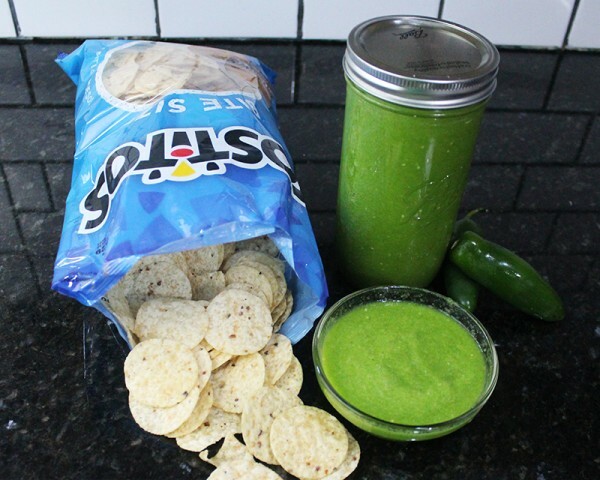 If you are not going to make your salsa right away, store the tomatillos with their husks on in a paper bag in the refrigerator (in the crisper). They will last a couple of weeks this way. When you are ready to make your salsa, simply remove the husks and wash them well (when you remove the husks they are slightly sticky; this comes off when you wash them). 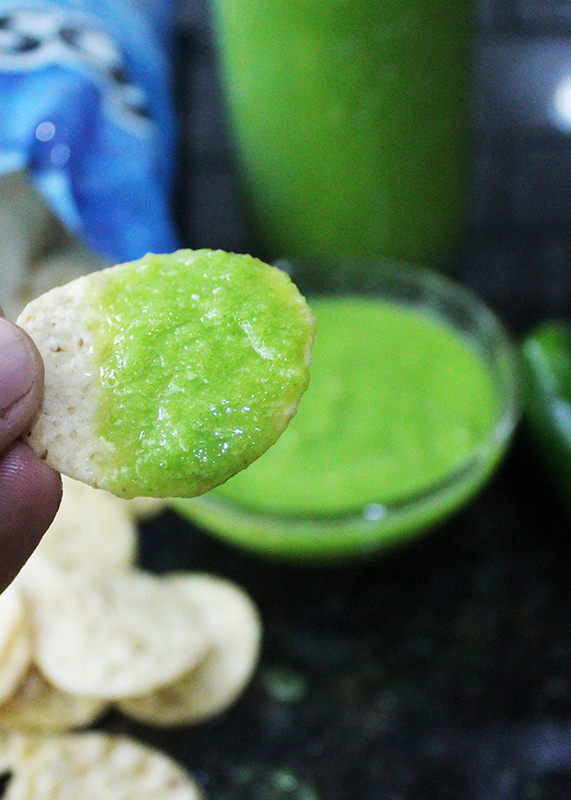 This is a simple and fast salsa that tastes as bright and vibrant as it looks! 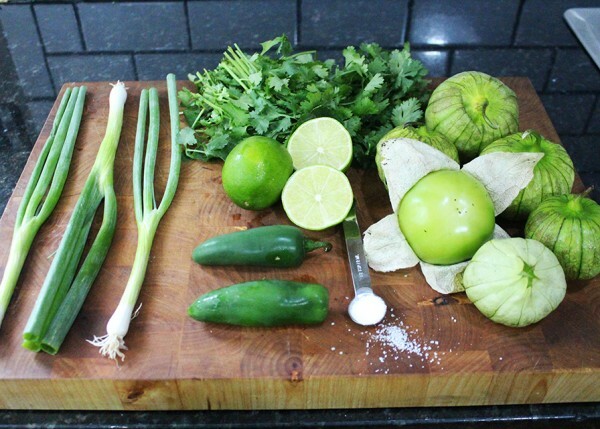 This is a simple and fast salsa of fresh tomatillos, jalepeños, lime and cilantro. It tastes as bright and vibrant as it looks! 2 jalepeno pepper I keep the seeds in - remove them if you are worried about the heat. 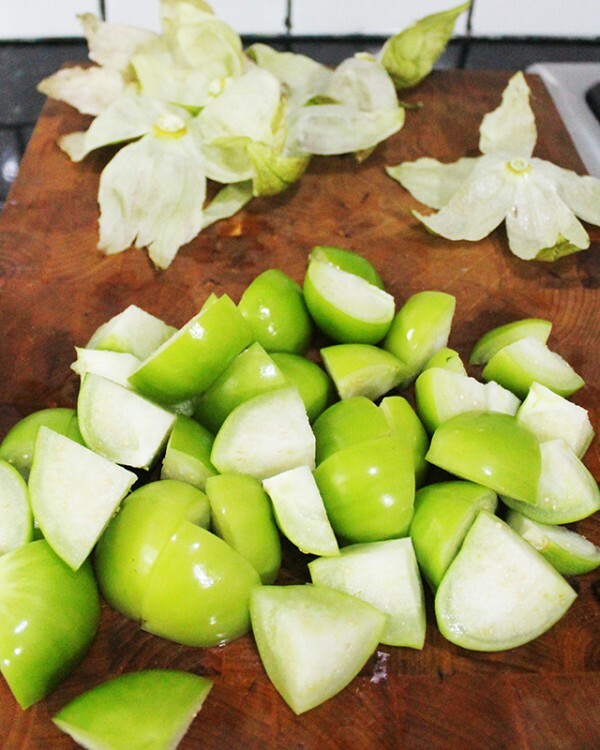 Remove the husks, wash and quarter the tomatillos. 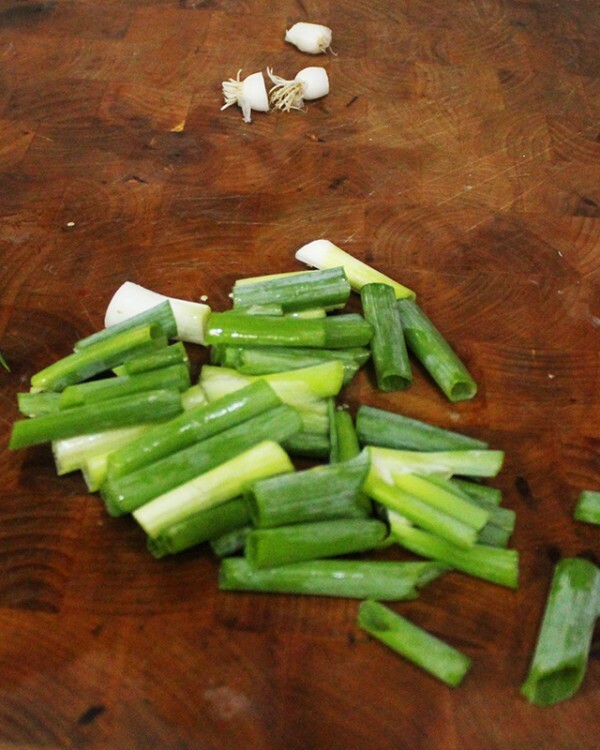 Rough cut your green onions, garlic and cilantro. 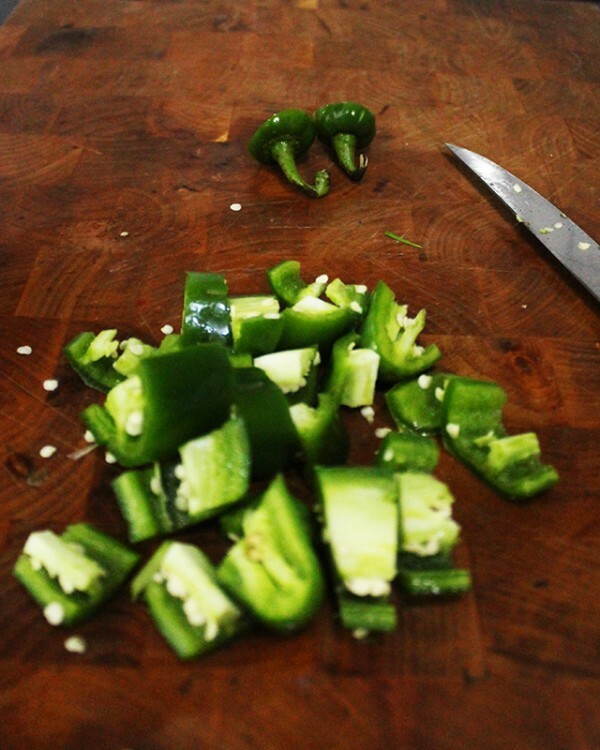 Rough cut your jalapeño. I leave the seeds in - if you are concerned about the heat simply remove the seeds (most of the heat is in the seeds). 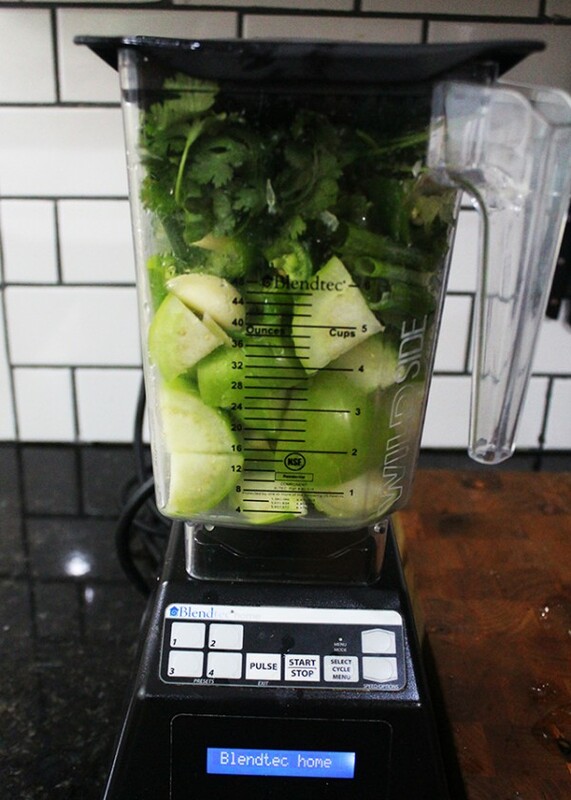 Add everything to your blender, including the lime juice and the lime zest. I DO NOT add the salt yet - I wait until everything is blended and then add the salt in 1/2 tsp increments, tasting as I go. Sometimes it needs a little more salt, sometimes not as much. It will keep in the refrigerator in a tightly sealed jar for up to a week - just make sure you shake it up before you use it. This one for sure will be used in my home. I can just taste the delicious ingredients as I read the recipe.